we love this simple grid layout and the hovers on the grid items. The red transparency has a nice feel to it. You don't see much of red transparency hovers but the color just feels right with their overall theme. 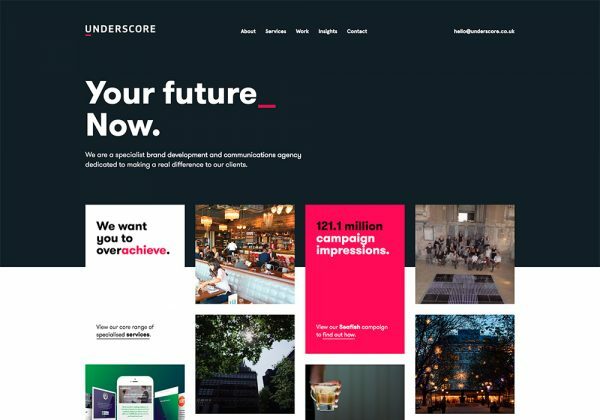 Underscore is a results-driven branding agency based in central London, specialising in helping brands make real and lasting connections.